The tigress, which had been fitted with a radio collar to keep track of her movements, was found dead in a forest between Jamnagar and Maroda. GADCHIROLI: A radio-collared tigress was found dead in Chamorshi tehsil under the Chaprala Wildlife Sanctuary in the district today, with electrocution being a possible cause of death, a senior forest official said. Autopsy would ascertain the exact cause of death, said M K Motgahre, deputy conservator of forest, Allapalli division. The tigress, which had been fitted with a radio collar to keep track of her movements, was found dead in a forest between Jamnagar and Maroda. A dead wild boar was also found nearby, a forest official said. 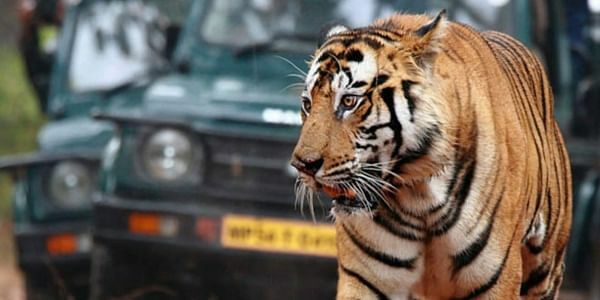 The tigress had killed two persons and several animals in Armori Wadsa area in the past, after which she was captured by tranquilising her and released in the Chaprala Wildlife Sanctuary in August this year.